School administrators generally encounter various problems while managing and providing services where some urgent decisions need to be taken. Thus, the right decision-making makes the school administrators stronger while managing the chaotic environments. School administrators need to be trained by using practice-based training approaches to make right decisions. Action learning (AL) is one of the approaches to serve this aim. But, there is a need for empirical evidences to show the impact of learning action on school administrators’ decision-making styles. In this paper, a novel framework is proposed for determination of the school administrators who trained through an AL course where they improved their decision-making skills for various conditions and environments. To this end, a popular single layered feed forward neural network structure namely extreme learning machine (ELM) is used to distinguish the trained and non-trained school administrators based on their MDMQ output. The MDMQ output is a dataset where it was constructed based on a pre-test and post-tests. The pre and post-tests were applied to a number of school administrators and school administrator candidates in Elazig providence in Turkey. Melbourne Decision-Making Questionnaire (MDMQ) was used to collect data on school administrators' decision-making styles before and after the AL course. A series of computer simulations (experimental works) were carried out on MATLAB environment. 5-fold cross validation technique is used in evaluation of the proposed method. The achievements were measured by accuracy, sensitivity and specificity criteria. The computer simulations were conducted based on the two scenarios. All MDMQ outputs were used in the first scenario to distinguish the trained and non-trained school administrators. In the second scenario, each factor of the MDMQ output is used independently to distinguish the trained and non-trained school administrators. The computer simulations show that ELM produced reasonable results in distinguishing trained and non-trained school administrators. We further compare the ELM results with several support vector machines (SVM) classifiers. In comparisons, it is seen that both ELM and SVM methods performed better in three different simulations. Results showed that AL based training course has a measurable impact on school managers' decision-making styles. Hallinger, P. ve Bridges, E. M. (2007). A Problem-based approach for management education: Preparing managers for action. London, New York: Springer Science+Business Media B.V.  Cardno, C. ve Piggot-Irvine, E. (1996). Incorporating action research in school senior management training. International Journal of Educational Management, 10(5), 19-24. Mintzberg, H., Raisinghani, D. and Théorêt, A. (1976) The structure of "unstructured" decision processes Administrative Science Quarterly, 21, 246 - 275. Dilworth, R. L., & Boshyk, Y. (Eds.). (2010). Action learning and its applications. London: Palgrave Macmillan. Pedler, M. M. (2012). Action learning for managers. Gower Publishing, Ltd.  Brockbank, A. ve McGill, I. (2003). The action learning handbook: powerful techniques for education, professional development and training. Routledge. Turhan, M.; Şengür, D.; Karabatak, S.; Guo, Y.; Smarandache, F.	Neutrosophic Weighted Support Vector Machines for the Determination of School Administrators Who Attended an Action Learning Course Based on Their Conflict-Handling Styles. Symmetry 2018, 10, 176. Şengür, D. ve Tekin, A. (2013). Öğrencilerin mezuniyet notlarının veri madenciliği metotları ile tahmini. Bilişim Teknolojileri Dergisi, 6(3): 7-16. Mann, L., Burnett, P., Radford, M., & Ford, S. (1997). The Melbourne Decision Making Questionnaire: An instrument for measuring patterns for coping with decisional conflict. Journal of Behavioral Decision Making, 10(1), 1-19. G.-B. Huang, Q.-Y. Zhu, C.-K. Siew, Extreme learning machine: theory and applications, Neurocomputing, 70 (2006), 489–501. Alcin OF, Sengur A, Ghofrani S, Ince MC (2014) GA-SELM: greedy algorithms for sparse extreme learning machine. Measurement 55:126–132  Alcin OF, Sengur A, Ince MC (2015) Forward–backward pursuit based sparse extreme learning machine. J. Fac. Eng. Archit. Gazi Univ. 30(1):111–117  Deniz, M. E. (2011). An investigation of decision making styles and the five-factor personality traits with respect to attachment styles. Kuram ve Uygulamada Egitim Bilimleri, 11(1), 105. Creswell, J. W. (2012). Educational research: Planning, conducting, and evaluating quantitative. Fourth Edition. New Jersey: Upper Saddle River. Büyüköztürk, Ş., Çakmak, E. K., Akgün, Ö. E., Karadeniz, Ş. & Demirel, F. (2011). Bilimsel araştırma yöntemleri. Ankara: PegemA Publishing. Vapnik, V.N. The Nature of Statistical Learning Theory; Springer: New York, NY, USA, 1995. Burges, C. A tutorial on support vector machines for pattern recognition. Data Min. Knowl. Discov. 1998, 2, 121–167. ISNAD Şengür, Dönüş . "Extreme Learning Machines Based Analysis of the Impact of Action Learning on Decision-Making Styles of School Administrators". 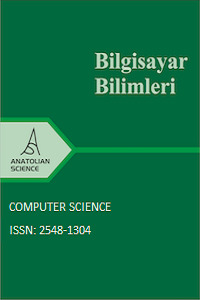 Anatolian Science - Bilgisayar Bilimleri Dergisi 3 / 2 (September 2018): 15-23.